Goodness gracious these Olympics seriously get the blood going, don’t they? 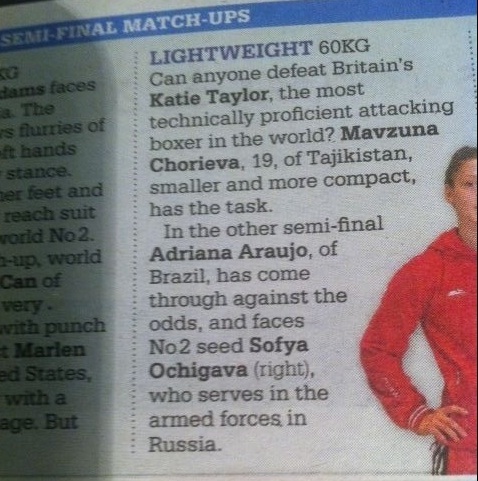 Katie Taylorand her legion of Irish fans have a date with destiny in just a few hours in London, as she fights in the semi-final of the Olympic games women’s 56kg boxing. Taylor won her initial bout with Natasha Jonas on Monday and her legend has grown exponentially ever since. Apparently, some are confused as to Taylor’s nationality. In an incredibly crass, insulting and ill-informed ‘article’, the English rag The Daily Telegraph, has called Taylor British. Perhaps a quick history\geography lesson is called for, for our friends across the sea. 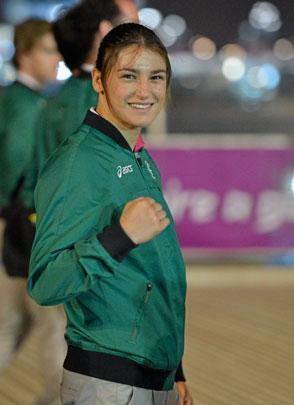 Katie Taylor was born and raised in Bray, County Wicklow, Ireland. Bray is a vibrant little seaside town to the south of the capital of Ireland, Dublin. 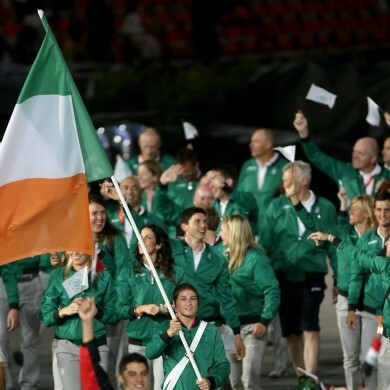 Ireland won its independence from an oppressive, corrupt and often brutal British imperialist state and declared independence from same in 1919. We have been free from British rule ever since. It should be noted that before that time, any Irish man or woman, athlete or regular punter, would rather die than be known as British, despite the latter’s military occupation of Ireland. Any telegraph ‘journalist’ who is still confused about Taylor’s nationality should perhaps put the question directly to her. It would be fun to watch her retort. If you would like to contact the telegraph to remind them that Taylor is Irish, and not British, you can do so by phoning them or filling out this quick online form. Either should suffice. 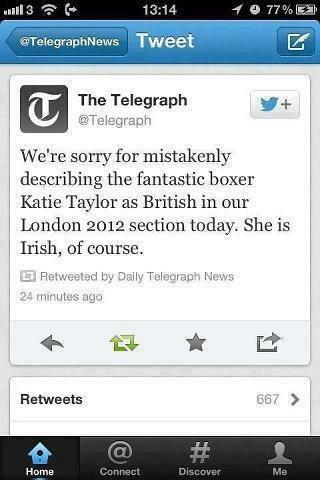 Update Wednesday 3:30 pm: Credit where credit is due, the telegraph has issued an apology, and as always, that's all you can ask for.